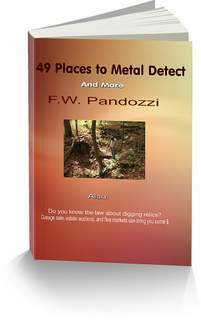 Metal detecting clubs are scattered throughout America. You’ll find a state list below. If your new to the hobby these clubs offer a wealth of information, and help from experienced hobbyists. If you’ve been around the hobby for a while these organizations are a great way to meet others who share your passion for metal detecting. It’s also a great way to exchange ideas with members on how to locate places to detect. Meetings for most associations are monthly. Members typically bring in their finds to share with each other. 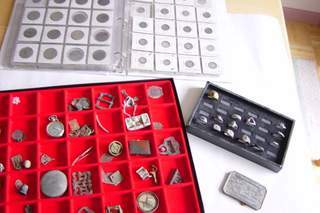 Joining one is a great way to also exchange metal detecting tips, and get ideas on just about any topic in the hobby. There are clubs with as few members as 3 or 4, to club sizes that have 50-100 members, or more. Again, if your new to the hobby, the knowledge you can gain, especially from the larger clubs, just can't be beat. Many clubs offer help to their local communities. Some donate time and money to charitable organizations. It’s a great way to build a positive image in an industry that is constantly being looked at in a negative way. Most clubs charge a small yearly fee to be a member. The fees help to offset expenses like rent for a meeting place, newsletters, and group hunts the club may have during the year. Detecting clubs have also come and gone. Some disband because there are not enough members to make meetings meaningful to hold. Other clubs have joined with larger detecting clubs in a given area. If you know of a club that is listed on my site as no longer in existence, please notify me by using the “Contact Me” form below. I will remove that club from my list. This list is constantly being built. I will be adding clubs for each state from time to time. My website receives more than 1 MILLION visitors every year. It’s a great way to reach people in the hobby who may be interested in joining your metal detecting club. If you have a club that you would like to add to my list be sure to contact me. Just send me the club name, and the address. Do you know the law for digging artifacts?